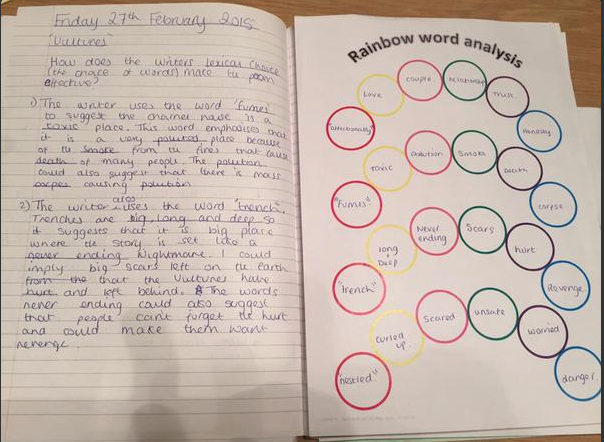 A rainbow analysis template and many other fab ideas by @HeadofEnglish click here! Students use their text to analyse keywords and key terms. The write their word in the first circle and then write the connotations of that word in the second and so on. It is used to help scaffold their answers.